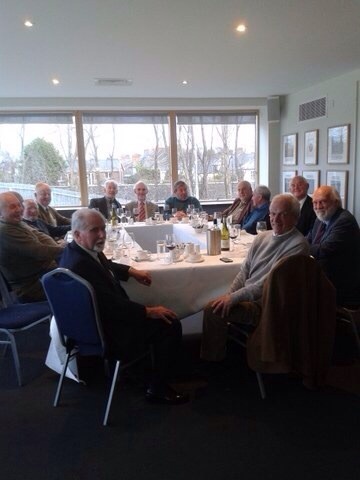 We had a very enjoyable lunch in the very attractive surroundings of Lansdowne Rugby Club. Some 16 members attended with 14 sitting down for lunch. Two members joined us for a reception before lunch and apologised for not being able to stay on. Paul Van Cauwelaert was of great assistance in making the arrangements with Lansdowne RFC, and looked after all financial matters. Members started arriving at noon and by 12.45 all those dining had arrived along with 2 others who had dropped in to say Hello. 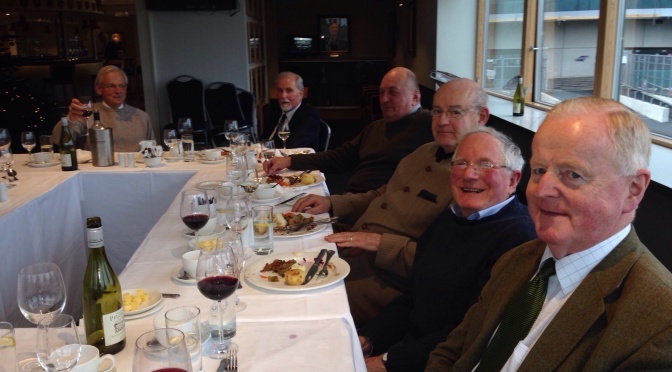 We sat down for lunch at 13.30 which continued until around 16.00, when some members had to leave to keep other Christmas engagements. All were gone by 17.30. The afternoon was very enjoyable and made such by the presence of the ” usual suspects” and by the addition of others whose company we had not enjoyed for a number of years. We did canvas support from classes of other “leaving” years, with good success and with encouragement. The attendance included Denis Bergin, Henry Blake, Dan Binchy, Peter Bruck, John Goor, Anthony Gore-Grimes, Pat Hickey, John Horgan, Fr.Anthony Keane, Harvey Kenny, Billy Lee, Paddy O’Keefe, Philip O’Sullivan, Fr.Philip Tierney, Paul Van Cauwelaert, Stephen Woulfe-Flanagan. Apologies from Theo Hoppen, George Dwyer, Diarmuid MacSweeney, John Carlos, Denis Corboy, Bobbie Cussen, John Cussen, Tony Roche, Bernard Segrave-Daly, Henry O’Cleary, Peter O’Cleary, Joe Lyster, Franz Molloy, Cianan Fennessy, Peter Fletcher, Greg Ashe, Ricky Johnson.